It all started in January 2008 when three families decided to start a church under the advice of the Pastor Oscar Gutierrez, a GCLA leader from Monterrey, Mexico. Little by little, more people started joining and it was that same year that the church had its first baptisms. That same year and under the advice of GCLA director Nelson Guerra, it was decided to named Fidel Guerrero (from GCLA Atlanta) as our Coach Pastor and in 2009 became a “House Church” in order to work for a larger group of faithful members. Starting January 2009, three small groups were getting together once a week at different homes and once a month pastors of churches from USA, Mexico and Honduras came for our combined monthly service that was held at a hotel. The group was getting larger so in 2010 we started to have weekly services at a hotel under the guidance of local leadership and always with the support from Fidel Guerrero and other GCLA pastors. In 2011, the church had approximately 40-50 faithful members and God provided a new place for church services. 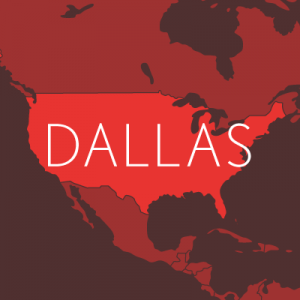 The GCLA Dallas church now rents an auditorium from a local Dallas church on Sundays at 1 pm. We now rent an auditorium from a local church. Our service is on Sunday at 1:00 p.m. Please pray that the Lord continues to grow the church in Dallas to help spread the love of Christ to yet another city with a large Spanish-speaking population.